Backups are essential for a successful business model. That statement may or may spark some topics for debate, but at the end of the day if the data professional does not have a form of backup in place for his/her business needs you may, no you will, feel the pain. It may not happen today, tomorrow, next week, but you can with 100% certainty guarantee that at some point in ones career you will need a backup of your database. Let me start off this way and ask a very simple question, “Do I have to take a backup?” The answer to that is yes, yes you do. If you are a data professional than you should care about your data enough to take a backup of it in some form or fashion. Full Backup – this type of backup contains all the data for a specific database. Transaction Log Backup (T-Log Backup) – this type of backup is a record of all transactions that have been performed against the database since the transaction log was backed up. Most often times these types of backups are taken on a more frequent basis. **Note** the differential and transaction log backups are both dependent upon the full backup initially being executed. Depending on how extensive your business model is some companies will rely on backups for their disaster recovery planning. Whether you log ship, utilize always on, restore databases periodically etc. backups can and will always be an essential part of disaster recovery. Most people don’t realize that they can tune their backups. One of the ways you can do this is by turning on some trace flags and increasing some throughput. Below are two statements you can utilize. 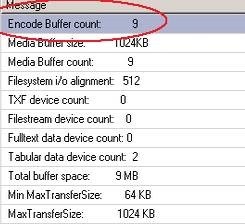 The buffer count and maxtransfersize are the two settings you want to check. Make note of what the settings are initially; then when backing up your database, whether by a stored procedure or method of choice, you can include the following code. **NOTE – never take code from the web and execute it in production. Utilize this in a testing environment to see how it performs. This little trick was picked up by watching the mighty Sean McCown at PASS Summit 2014 in one of his sessions. Wait, what? You mean I need to test my backups. Let me pose this question another way. If you take a solid backup and you store it for a certain period of time; then how do you know if you can restore it or not? Taking backups are only half the process; I used to think early on in my career that I was golden to have a backup versus the people who don’t take backups at all. Sure that is somewhat true but the flip side to that is I was missing the bigger picture; periodically test your backups. In a perfect world an automated process would restore backups to an isolated environment then fire off an alert if you find one that could not be restored. Most shops don’t or can’t go to that extent so at the minimum periodically test your backups for validity. Not only will it prove that your backups are working but will keep your skill set honed in the restoration process. Julie Koesmarno: will return shortly; check back! If you’ve been around me long enough then you realize that I am a Red Gate fanatic. With that said I’ve grown accustomed to another utility called SQL Sentry Plan Explorer by SQL Sentry. I’m a big Aaron Bertrand (B|T) fan and he is the one that first introduced me to this utility via his blog; if you aren’t following this man then you are missing out. He has some stellar commentary on his blog and twitter and has a deep passion for the SQL Community. 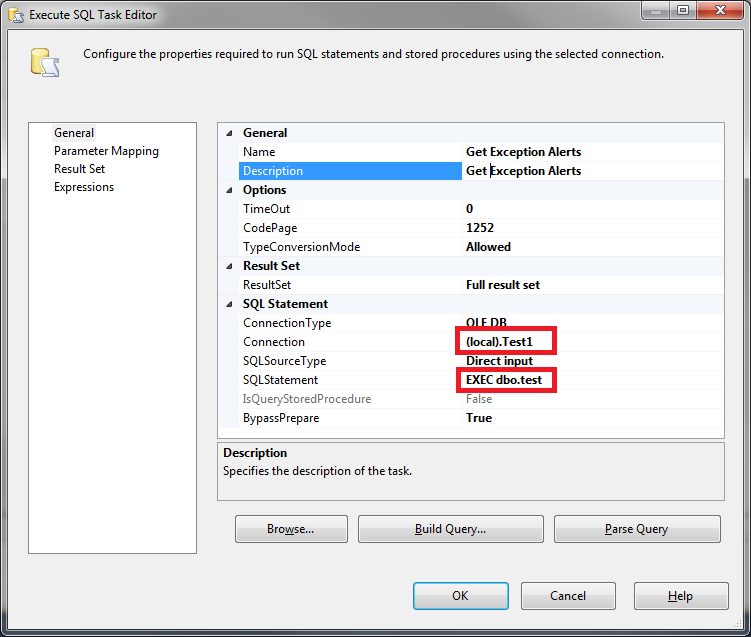 One thing that I think of when the words SQL Sentry Plan Explorer are said is query optimization. Do you have that one go to script or utility when you are troubleshooting stored procedures and queries? 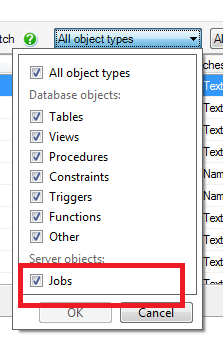 If so, and this utility isn’t part of it then add it to your tool DBA tool belt. There are two different versions that you can download; a free version and a Pro version. Both utilize SQL Server to help streamline and make optimization of queries become more efficient for the every day data professional. 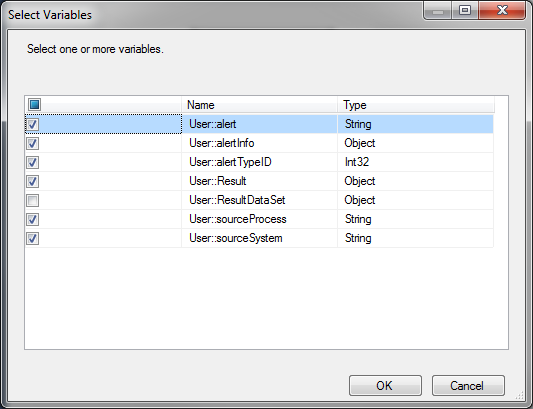 I think one of the most beneficial items that SQL Sentry has done for this utility is adding it as an SSMS add in. Like any other tool, the goal is to help streamline and make the data professional more efficient. With that said, the data professional has to know the “why’s” and how things function within SQL; don’t utilize the tool as a crutch nor should you utilize the tool as a means to solidify commands like a robot. A SQL community member and MVP has taught me (thanks Tim Chapman (B|T) that just because you have all these tools at your disposal you, yourself have to be able to connect all the dots which means what guys – learn and know what you are reading. You see an index seek; great….now why? You see that Plan Explorer is showing you a critical alert in red on index cost…great; why? Don’t just simply follow a tool; know what you are looking at. I highly recommend SQL Sentry’s Plan Explorer; from personal experience it is helped me on more than one occasion. You can view all they have to offer here. Well done SQL Sentry; well done indeed. Being a DBA and working with various teams, I have become accustomed to deploying SSIS packages. I’ll even go back further and, dare I say, DTS packages (I hope everyone did not just fall on the floor while reading that). Now-a-days this Database Professional does more deploying packages than developing them; with that said I was pleased when 2012 came along. 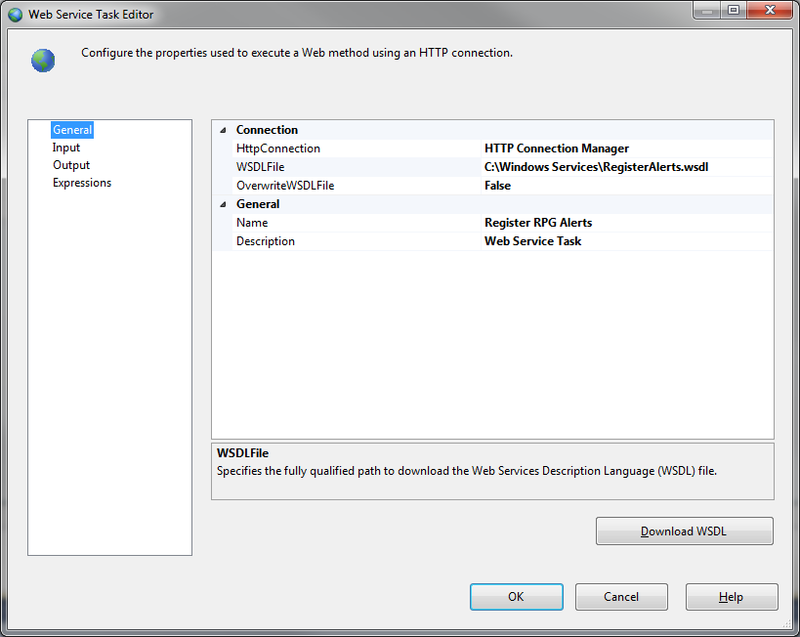 When the newer version of SSIS was released it offered several new features, one of those features was building a deployment model thus producing an ISPAC file. I remember first coming across this and thinking, “Wow, this is all packaged up”. While I won’t go into the specifics of how to build the deployment I will show you the step by step process of deploying the ISPAC file. Locate the ISPAC file. Once located double click on the ISPAC file to gain entry into the deployment wizard. What kind of Integration Services project do you want to deploy? Since we are dealing with an ISPAC file on our local directory we will select the source path we found from Step 1. Simply browse to the path location and click ok. So you have your ISPAC file selected and you want to deploy it; where does it go? You have the capability to supply any Server Name for rapid deployment. 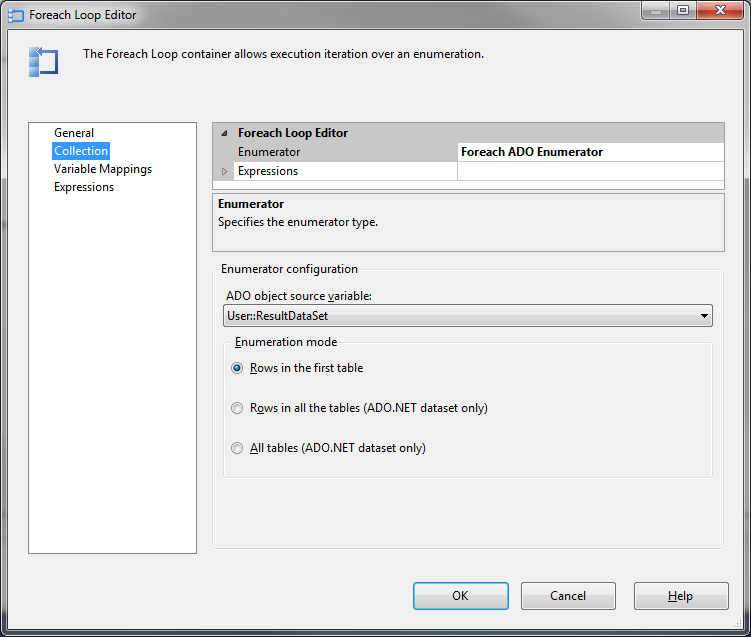 The path reflects the SSISDB catalog which is required for SSIS 2012 packages to be deployed. 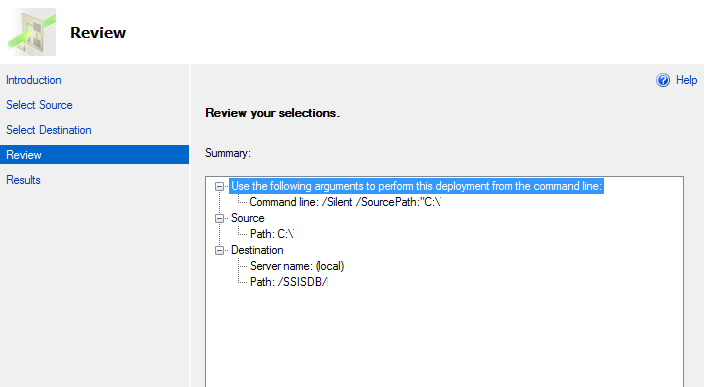 If your SSIS package is already on the server you can simply choose to overwrite the existing file at deployment time. After you select the destination path; it is then time for review. The review section will provide you with a great overview of the Source path of the file being deployed and the destination location. Once verified and the deployment button is hit we are off to the races. The ability to have quick insight into the deployment and the methodology to save the report for future use is stellar. If your deployment did fail; at this step you would be able to dive into the error in the result pain on the right hand side. Seems simple enough? 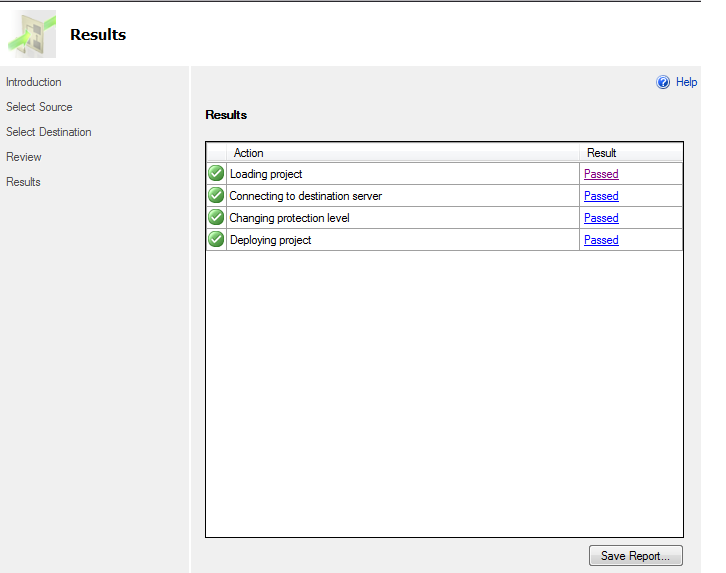 The deployment method in SSIS 2012 has proved beneficial for myself and is a welcomed aspect. Earlier this year I completed a post on the utilization of PowerShell and how to deploy 2012 SSIS packages and that can be found here.